Makai Golf Course Hole 2: This very long par five is pretty wide open, although the bunkers along the way need to be avoided. 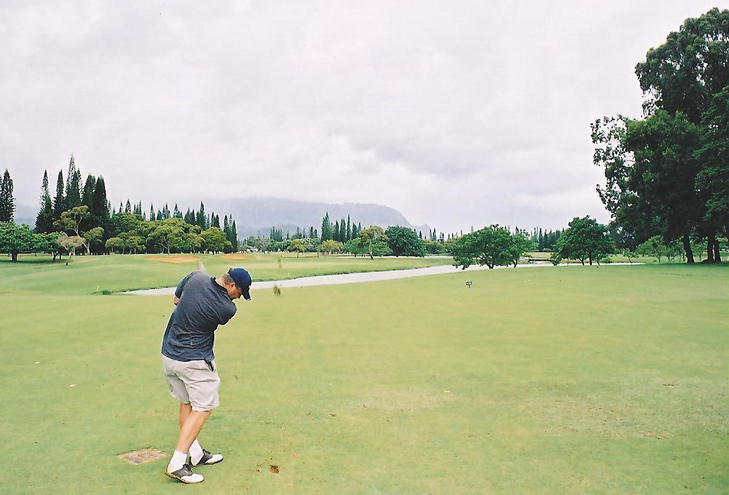 The approach to the green has an especially beautiful frame of trees and sand traps to the picturesque Hanalei Bay and Kauai north shore mountains. 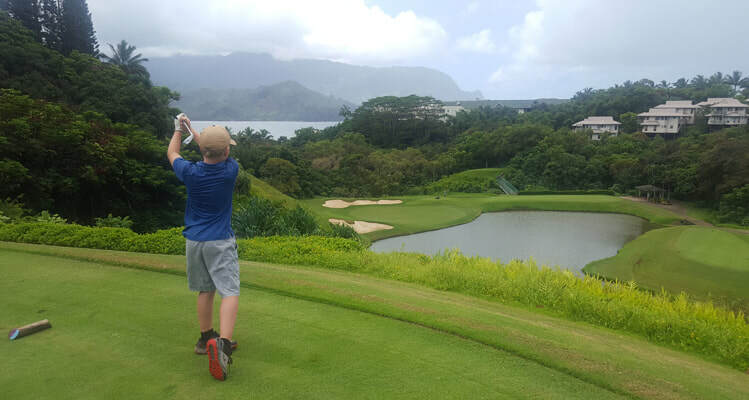 Makai Golf Course Hole 3: This short, downhill par 3 provides beautiful vies of Hanalei Bay and Bali Hai beyond. However, the golfer can’t let these distract as the green is sandwiched between a lake to the right an bunkers or jungle everywhere else. Accuracy (and good club selection) is a must. Makai Golf Course Hole 4 (right): The 4th is a very tight uphill par 4 with a crucial drive between heavy jungles that will guarantee a penalty strokes. Ideally, the drive will carry onto the plateau; otherwise, a steep uphill lie will be had to a green with deep fronting bunkers that must be avoided. Makai Golf Course Hole 6 (below): This par four dogleg left has a tough drive if the player wants a good angle to the green. The tee shot that can hug the bunkers will leave that angle and a shorter shot, but being in them is a real problem. The safer tee shot to the right will leave a tough angle to any pin that is not dead center. 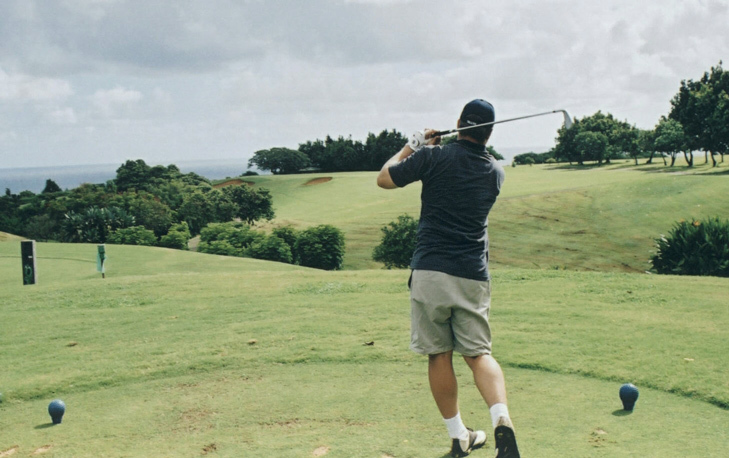 Makai Golf Course Hole 7: The Makai’s signature hole is a brutal test of nerves and ability as a 200+ yard shot over the Pacific awaits the golfer. To make matters worse, the trade winds are usually blowing right into the Pacific. There are also bunkers and a tough green to putt on this one. The golfer can bail out to the left of the green, which at least gives an "easy bogey", but what's the fun in that? Makai Golf Course Hole 10: The start to the back nine is tough as the player cannot see the lake to the left of the fairway, but it is there. The farther right one goes (or lays back) the longer and tougher the approach will be over the lake to the green that has bunkers long and slopes very severely from back to front. 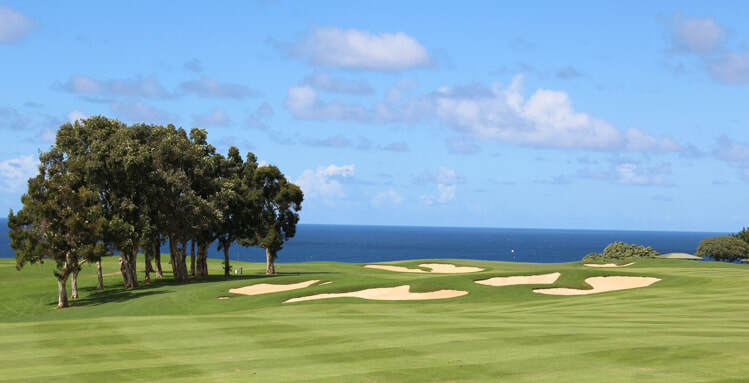 Makai Golf Course Hole 12: The second most difficult par 4 on the course is a dog leg left that requires a large drive that must avoid the fairway bunkers left. The second will be partially blinded by the bunkers or very long depending on what side of the fairway the drive was left. It is downhill to a large, receptive green with great views of the Pacific Ocean along Kauai's north shore. Makai Golf Course Hole 14: Redesigned in 2010, this short par four used to be a sleeper (although the views were still outstanding. Now, a series of strategic bunkers enhance the hole greatly as the former easy layup now has to be a bit more precise. The green is still sandwiched between the bunker front-left and the cliffs. 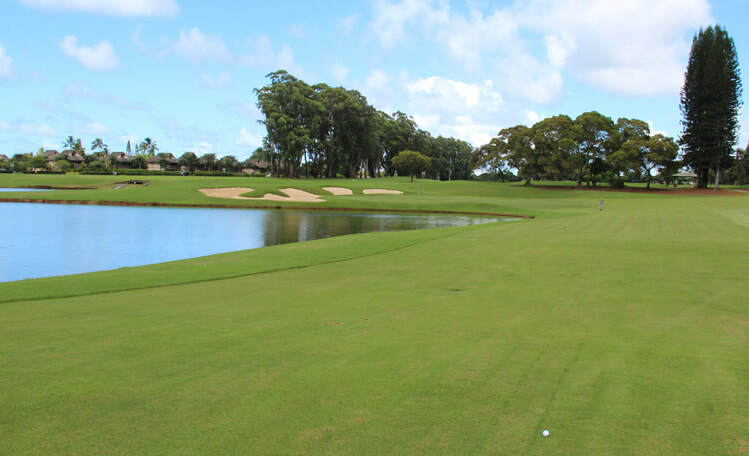 Makai Golf Course Hole 17: This fairly long par four is straight with a wide landing area. The key, however, is the second shot that must avoid the obvious watery grave to end up successful. This is much easier said than done as the green is very narrow and angled between the water and the green. When played with a mid iron or longer, it is one of the most difficult seconds shots to any par four. 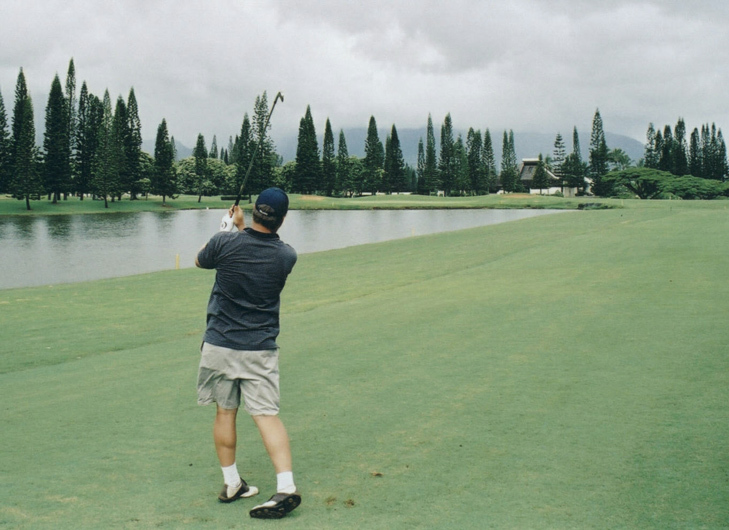 Makai Golf Course Hole 18: A good finishing par 5. The drive must clear one lake with the more aggressive and longer carry, being more to the left. If successful, a long iron will be left to a shallow green completely fronted by water. Any other drive will have to lay up right to leave a better angle in for the final shot of the day. 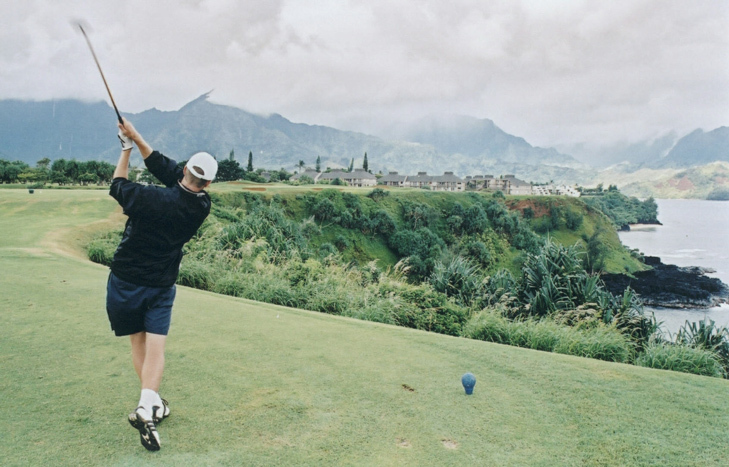 Read More Kauai Golf Course Reviews.